 Undefined variable: id /home/wwwroot/www.hicap.cn/public/App/Runtime/Cache/Home/babcddbef959a07b4d27fad6e9b95082.php 第 9 行.
 Undefined variable: id /home/wwwroot/www.hicap.cn/public/App/Runtime/Cache/Home/babcddbef959a07b4d27fad6e9b95082.php 第 10 行. Use of undefined constant id - assumed 'id' /home/wwwroot/www.hicap.cn/public/App/Runtime/Cache/Home/babcddbef959a07b4d27fad6e9b95082.php 第 60 行. Use of undefined constant id - assumed 'id' /home/wwwroot/www.hicap.cn/public/App/Runtime/Cache/Home/babcddbef959a07b4d27fad6e9b95082.php 第 62 行. Use of undefined constant id - assumed 'id' /home/wwwroot/www.hicap.cn/public/App/Runtime/Cache/Home/babcddbef959a07b4d27fad6e9b95082.php 第 115 行. Use of undefined constant id - assumed 'id' /home/wwwroot/www.hicap.cn/public/App/Runtime/Cache/Home/babcddbef959a07b4d27fad6e9b95082.php 第 116 行. Use of undefined constant id - assumed 'id' /home/wwwroot/www.hicap.cn/public/App/Runtime/Cache/Home/babcddbef959a07b4d27fad6e9b95082.php 第 118 行. Use of undefined constant id - assumed 'id' /home/wwwroot/www.hicap.cn/public/App/Runtime/Cache/Home/babcddbef959a07b4d27fad6e9b95082.php 第 157 行. Use of undefined constant id - assumed 'id' /home/wwwroot/www.hicap.cn/public/App/Runtime/Cache/Home/babcddbef959a07b4d27fad6e9b95082.php 第 181 行. Use of undefined constant pid - assumed 'pid' /home/wwwroot/www.hicap.cn/public/App/Runtime/Cache/Home/babcddbef959a07b4d27fad6e9b95082.php 第 181 行. Use of undefined constant id - assumed 'id' /home/wwwroot/www.hicap.cn/public/App/Runtime/Cache/Home/babcddbef959a07b4d27fad6e9b95082.php 第 183 行. 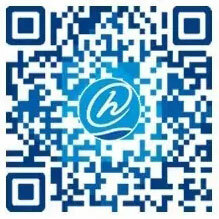 Use of undefined constant pid - assumed 'pid' /home/wwwroot/www.hicap.cn/public/App/Runtime/Cache/Home/babcddbef959a07b4d27fad6e9b95082.php 第 183 行. Use of undefined constant id - assumed 'id' /home/wwwroot/www.hicap.cn/public/App/Runtime/Cache/Home/babcddbef959a07b4d27fad6e9b95082.php 第 185 行. Use of undefined constant pid - assumed 'pid' /home/wwwroot/www.hicap.cn/public/App/Runtime/Cache/Home/babcddbef959a07b4d27fad6e9b95082.php 第 230 行.
 Undefined variable: id /home/wwwroot/www.hicap.cn/public/App/Runtime/Cache/Home/babcddbef959a07b4d27fad6e9b95082.php 第 369 行.
 Undefined variable: id /home/wwwroot/www.hicap.cn/public/App/Runtime/Cache/Home/babcddbef959a07b4d27fad6e9b95082.php 第 380 行.